In 2014, The LEGO Movie helped bring some of our favorite toys to life. We watched Emmet Brickowski’s adventure unfold to save his town, Bricksburg from the evil Lord Business. However, the adventure wasn’t over for our tiny LEGO mini-figures. The Lego Movie 2: The Second Part, brought new challenges to their world, which was now called Apocalypseburg due to the Duplo brick invaders who threaten the mini-figurines at the end of the first movie. We may have had to wait five years for a glimpse back into the world that included Emmet, Lucy, Batman and more. And we feel that this is a reason to celebrate! 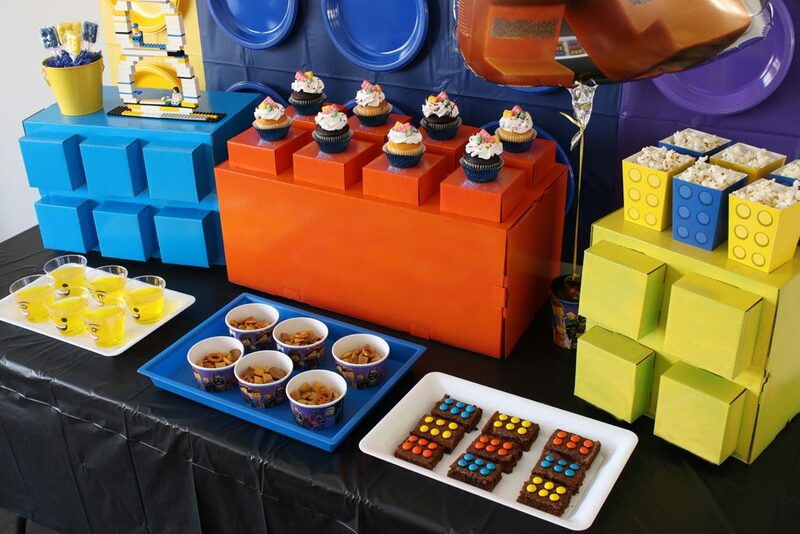 If you’ve got a little LEGO movie fan on your hands, consider a LEGO movie party to celebrate his or her birthday. 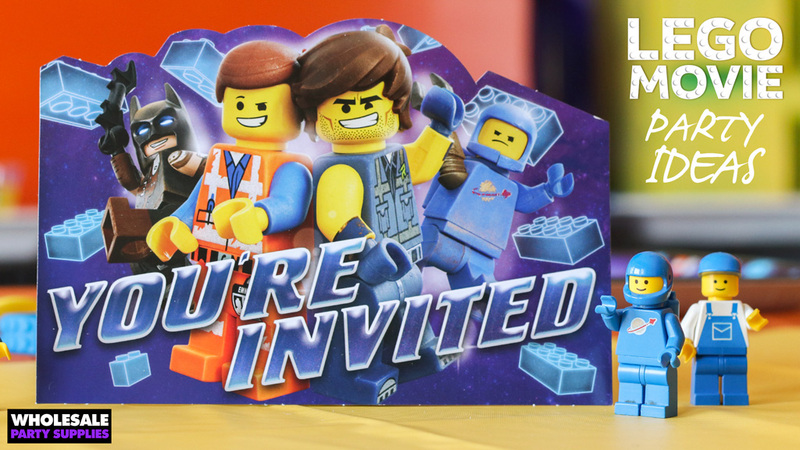 That’s what you’ll hear from party guests when attending your Lego Movie 2 party! 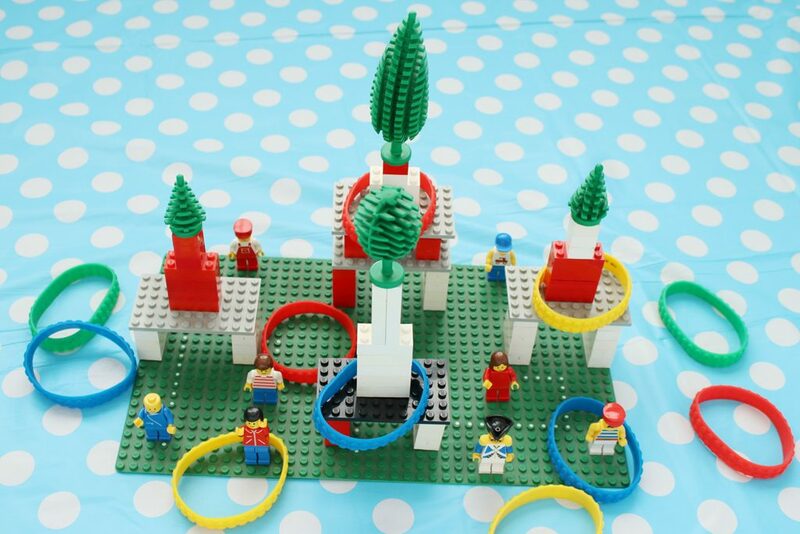 We’re giving you the building blocks to create a memorable celebration for your master builder. You’ll soon forget about the pain of stepping on a Lego and instead feel the fun of a party space filled with Emmet, Lucy, Unikitty and all the other minifigures from this movie franchise! 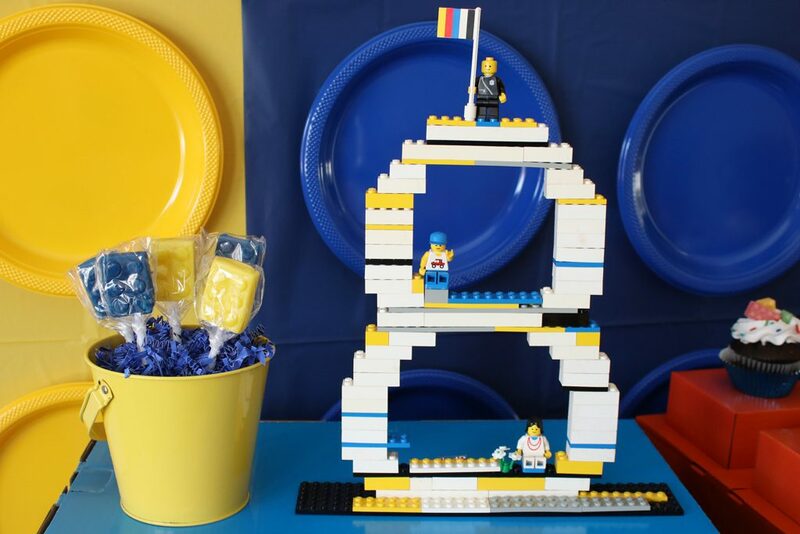 See how to smartly dress up your space to resemble those uniform bricks, discover cute ways to serve LEGO themed treats to your guests and be prepared to send guests home with a slew of LEGO-themed goodies! 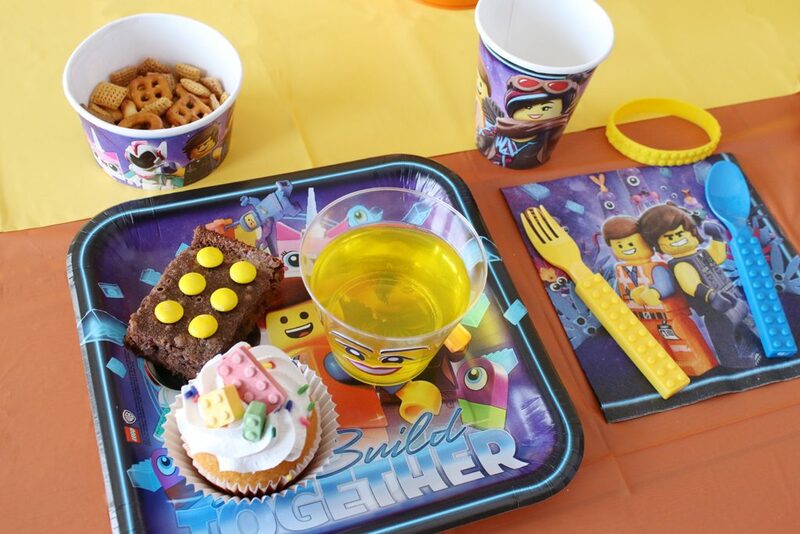 This LEGO movie party was written, shot and styled by Tara from Spot a Tea Designs. 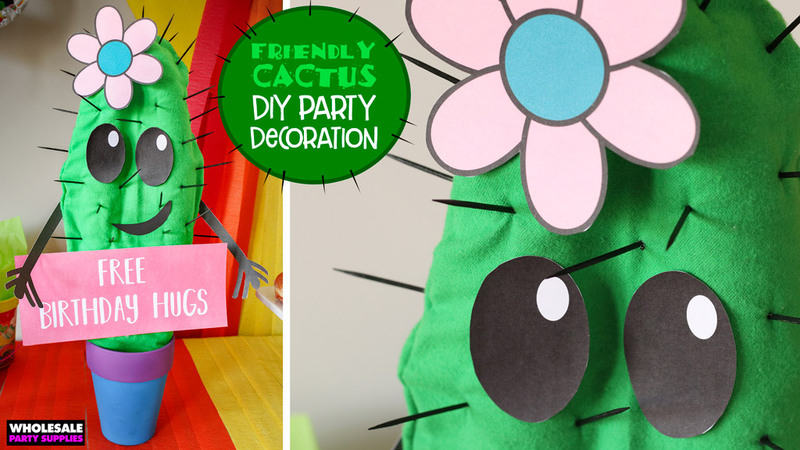 Stop by her blog to see all of her latest parties, crafts and printables! 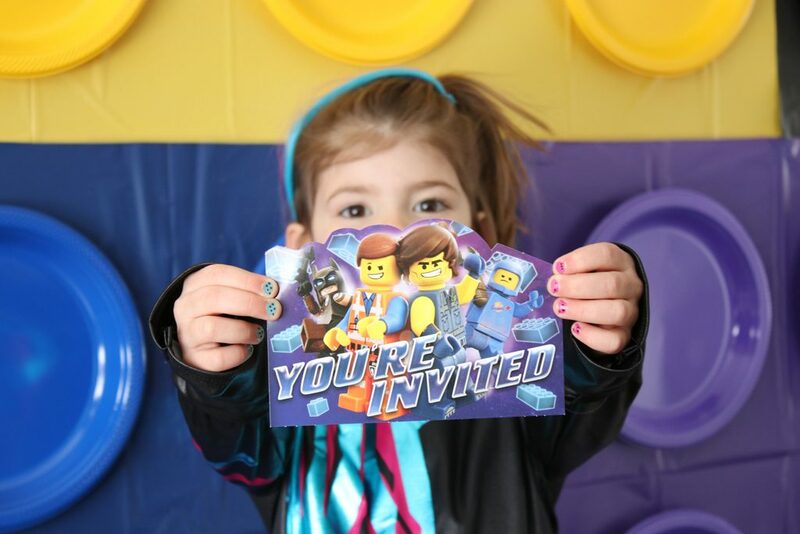 Fill their mailboxes with a Lego Movie postcard invitation and get them psyched for the party ahead! 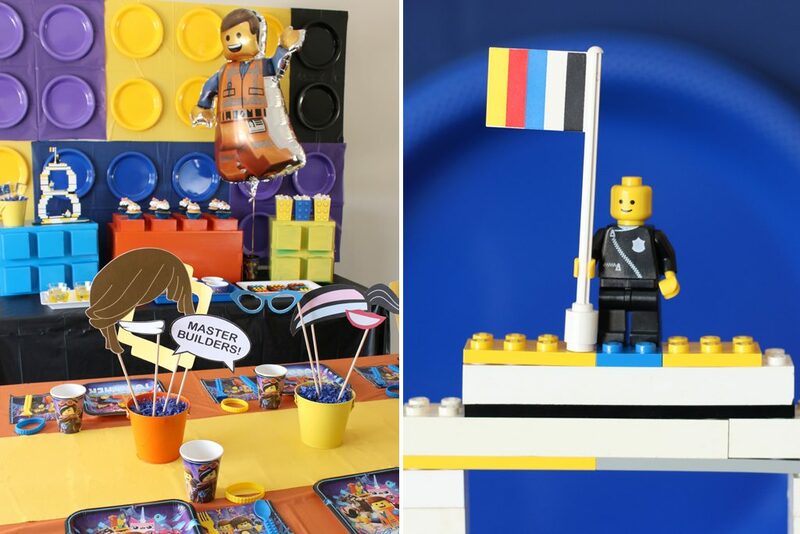 Guests will think they stepped into Bricksburg when checking out your faux LEGO party backdrop made of plastic plates and tablecloths. And this Emmet balloon will wave hello to all of your guests. Don’t let the kids have all the fun stacking blocks! Use these stackable 3D stand-ups to create some interest or give some height to your dessert display. Tip: If they don’t fit your color scheme, spray paint them! 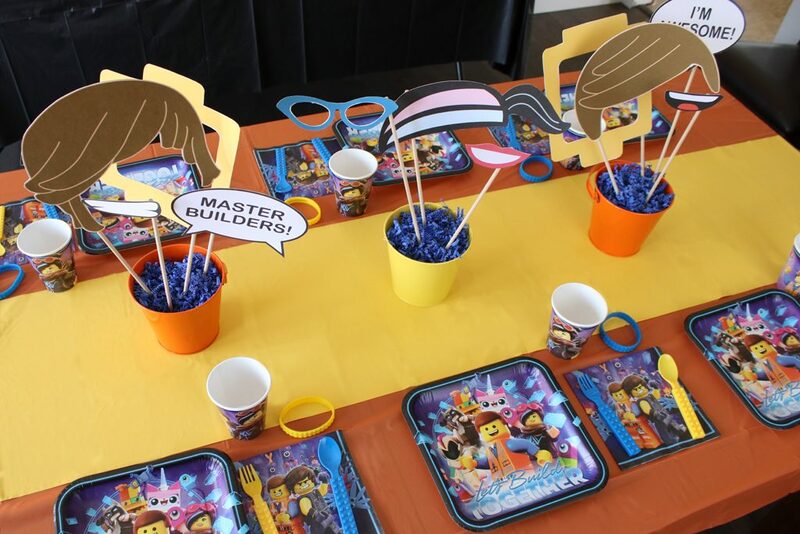 And you can use the LEGO bricks themselves for other party decorations, like this centerpiece showing their age! Tip: get your birthday child involved in this one so you can focus on the other party tasks at hand! Stay away from the boring basic tableware for this party setup! 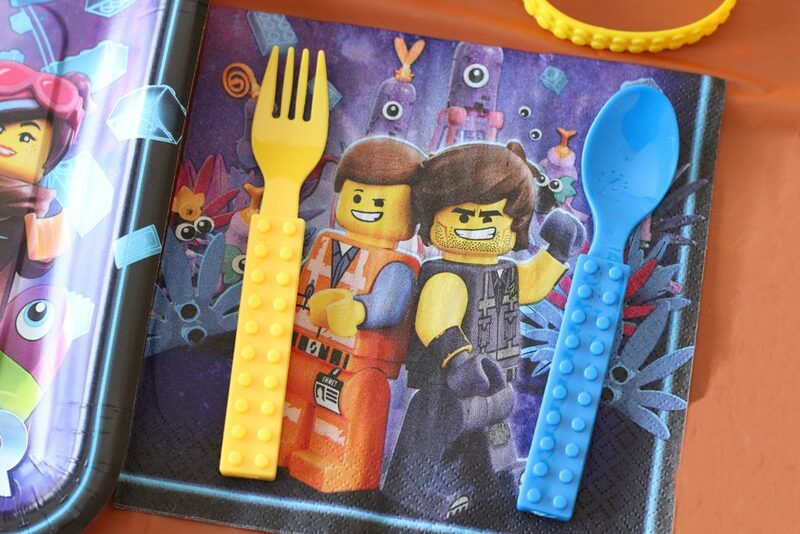 Go all in with Lego Movie 2 themed plates, cups, napkins and this fun fork and spoon set! 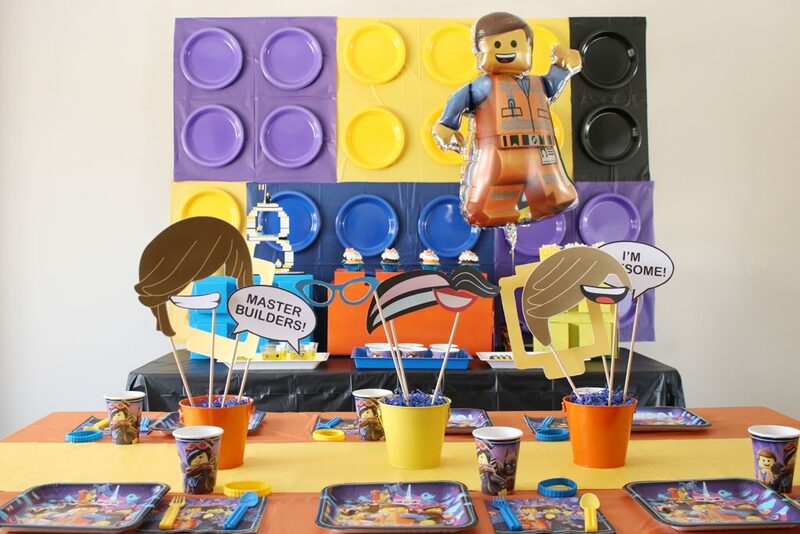 Make the birthday boy or birthday girl think they’re “The Special” with an Emmet or Wyldstyle costume to fit the party theme. 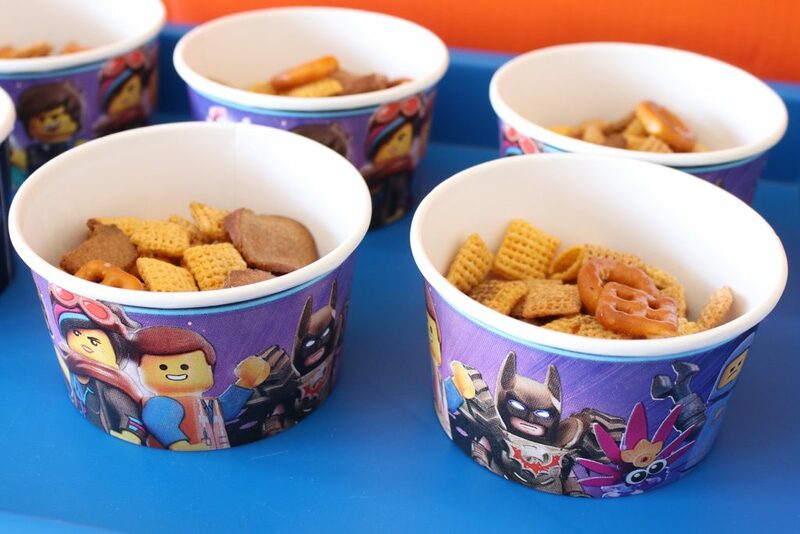 Even if your party is hosted on a weekend, you can still pretend it’s Taco Tuesday at this Lego party! 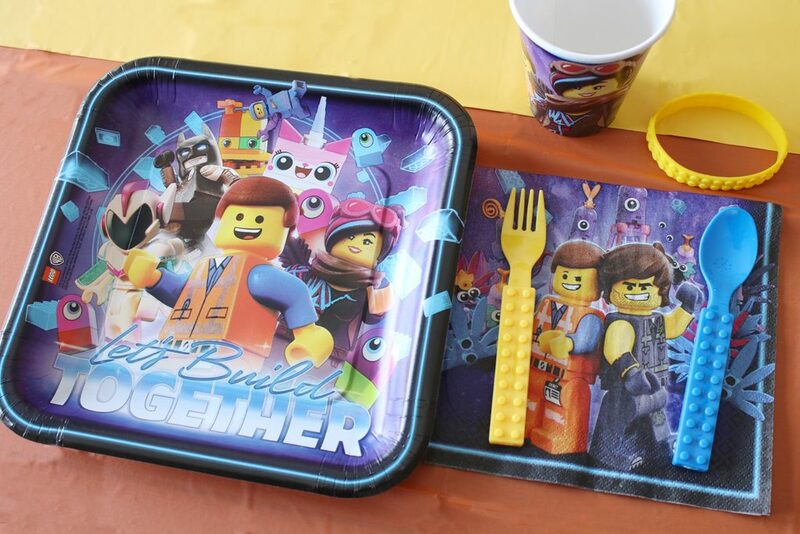 Serve up premade tacos or a make your own taco bar as the main meal for this Lego Movie 2 party. 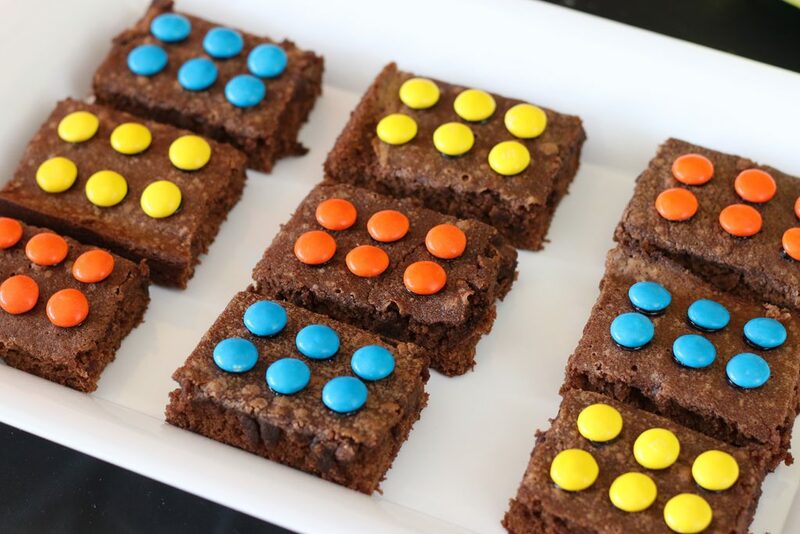 Transform store-bought or homemade brownies into Lego bricks with the help of colorful M&M candies. 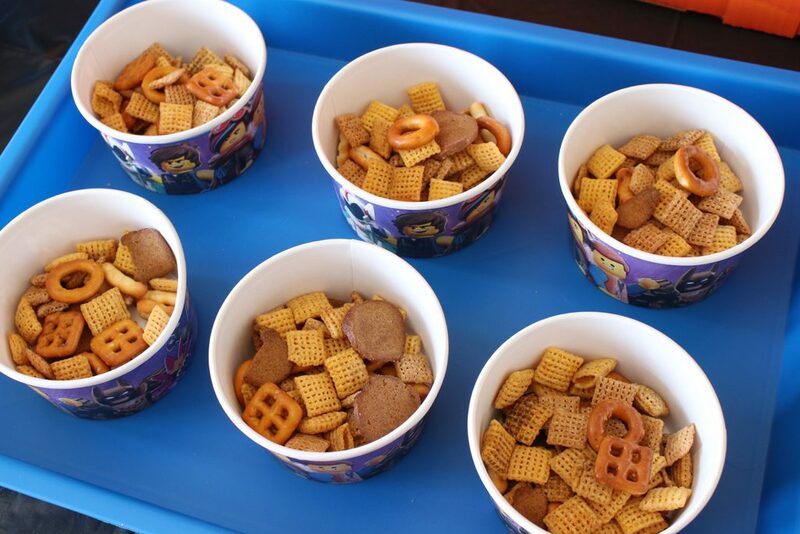 Fill your treat cups with trail mix snacks that resemble nuts and bolts, the basics of any construction set. 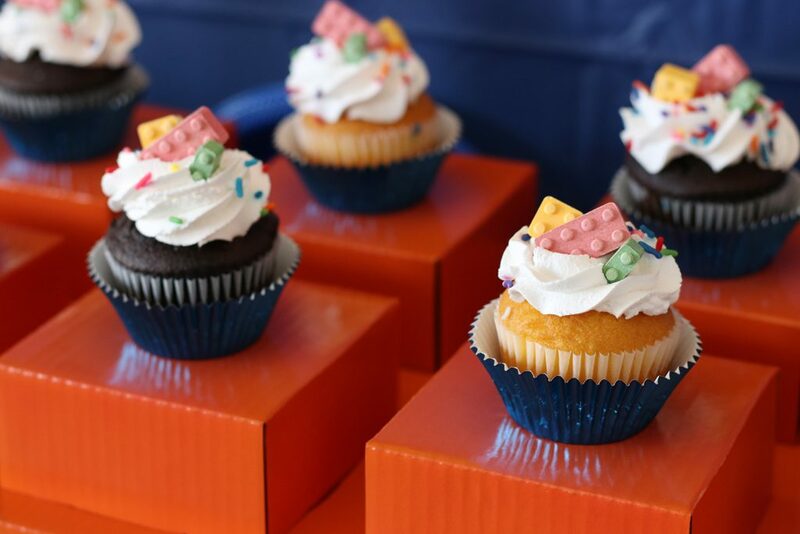 Top your cupcakes with edible block candies found at the candy aisle at the grocery store! 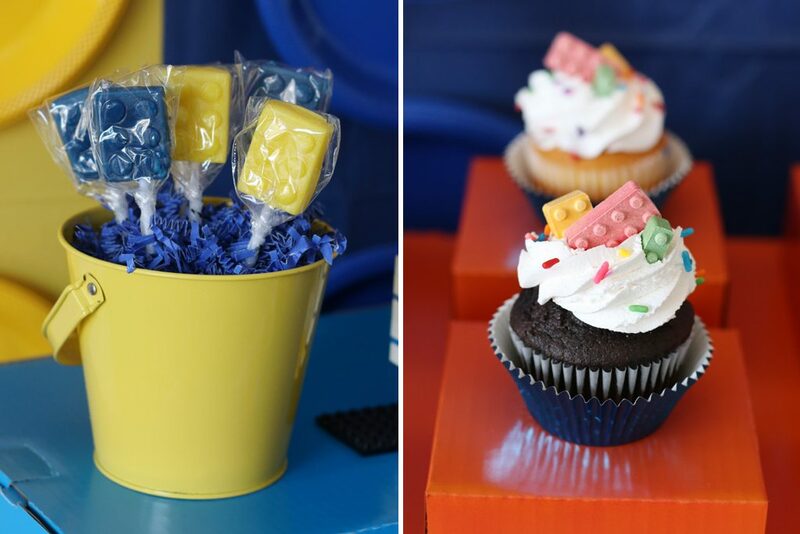 Stick brick lollipops in colorful metal tin buckets and let everyone have a lick. 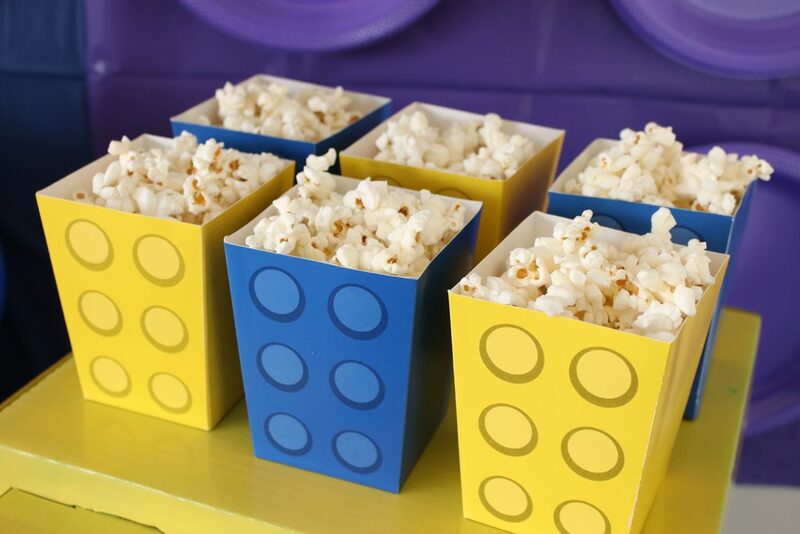 Unfold and stand up popcorn boxes for an easy grab and go snack option. 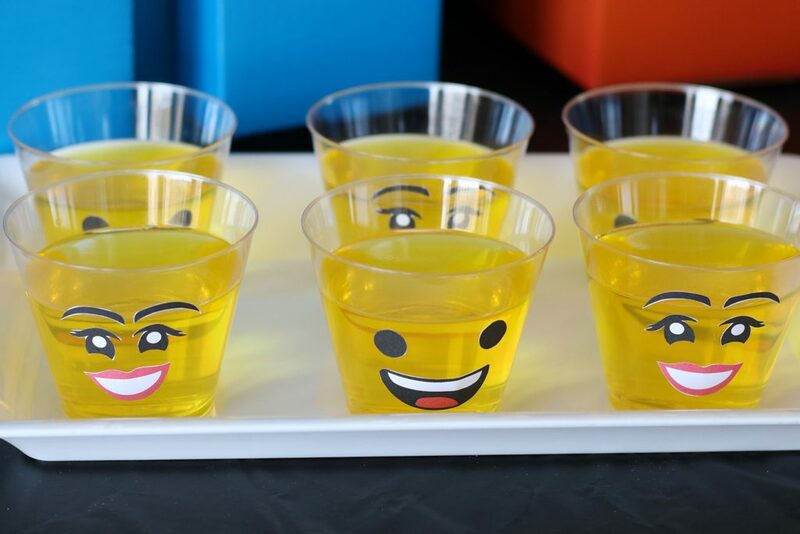 Transform clear cups into minifigs with Lego faces and yellow lemon JELLO. Grab the free printables on our DIY post. 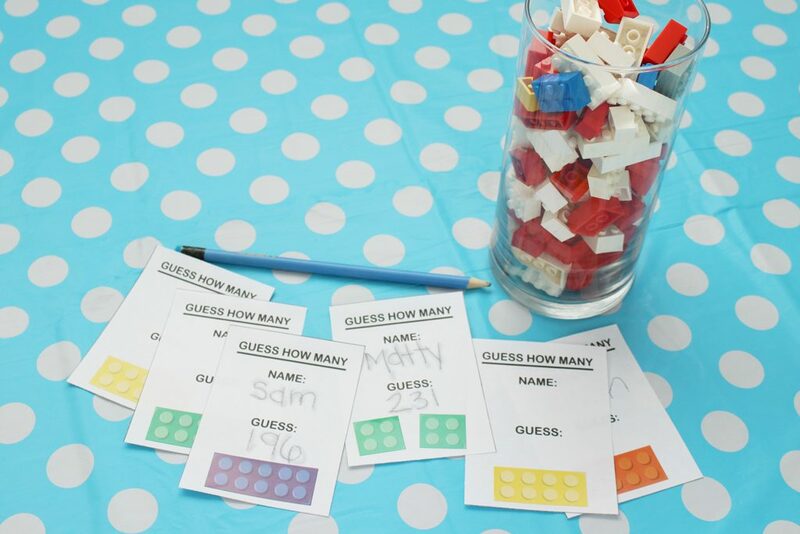 Have guests put their two cents in on how many LEGO bricks they think are in a jar when first entering the space. Spruce up our free printable guessing sheets with brick party stickers so they fit right in! 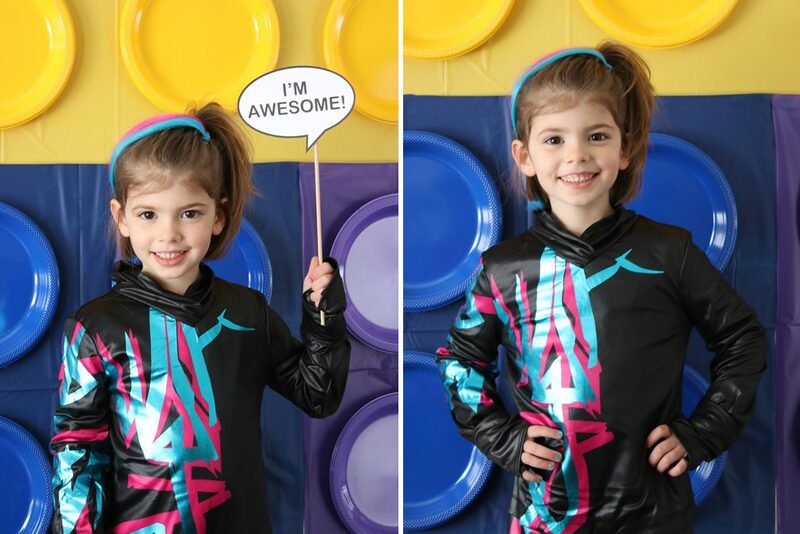 Capture big smiles and personalities with a photobooth complete with LEGO photo props. Download the free printables to make them yourself. Anything can easily become a LEGO brick when it’s already in a rectangular shape! 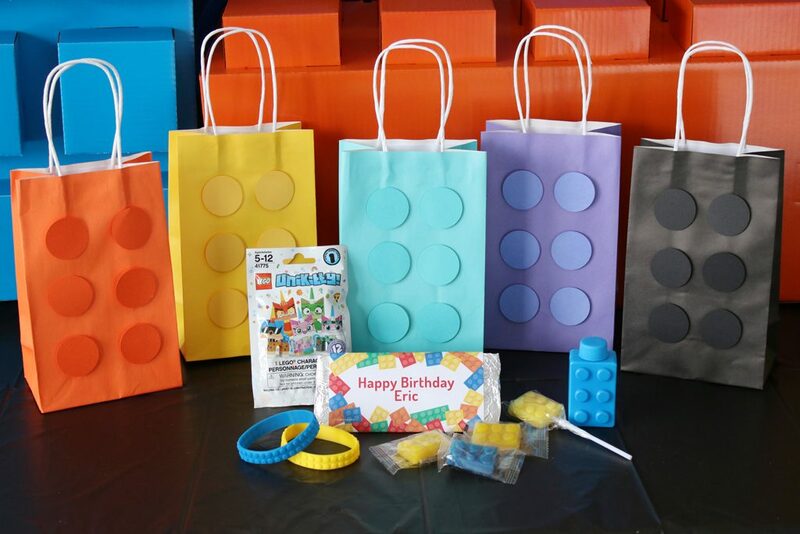 Add cardstock circles to solid favor bags to LEGO-ize them for your friends. 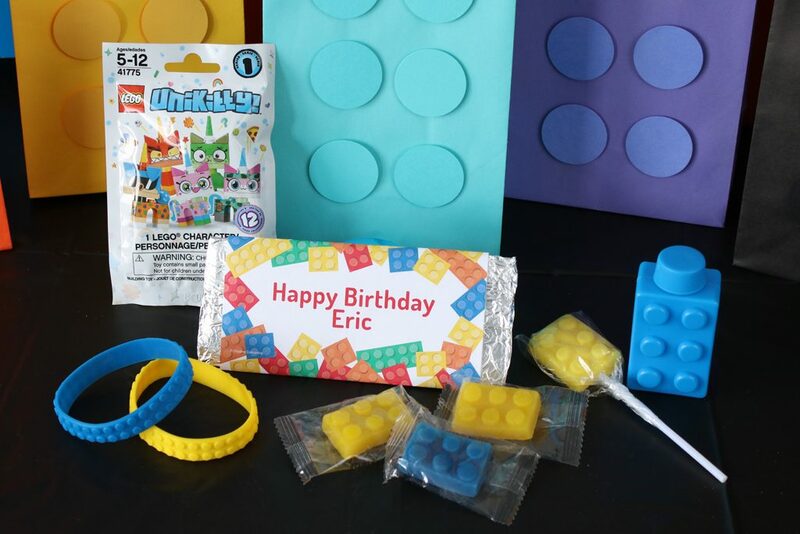 Fill them up with themed bubbles, gummy building blocks, brick rubber bracelets, brick lollipops, candy bars featuring the birthday boy’s name with a personalized wrapper and maybe a small blind bag featuring one of the movie characters! 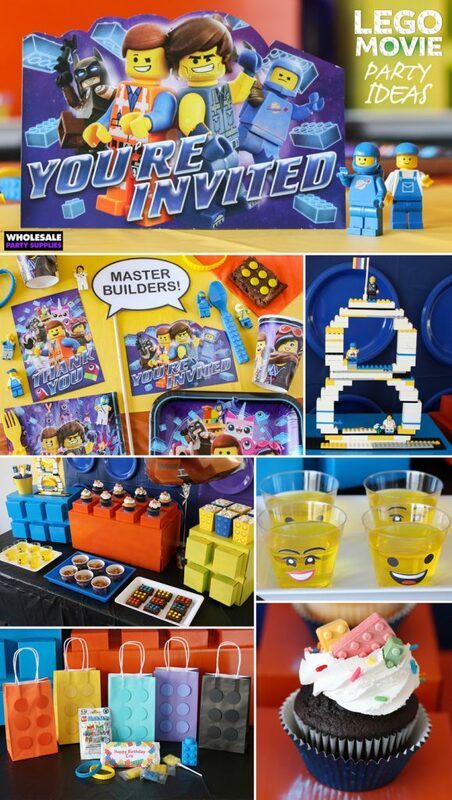 We hope we gave you all the ideas you’ll need to build your perfect LEGO Movie 2 party! Don’t forget to show us how your party stacked up! Connect with us on Facebook, Twitter, and Instagram! Keep up with all of our party ideas and DIY projects and see what we’ve been saving on Pinterest!